These linkage kits will replace your existing, worn out linkage or provide you with the linkage needed for your new PMO Carbs! 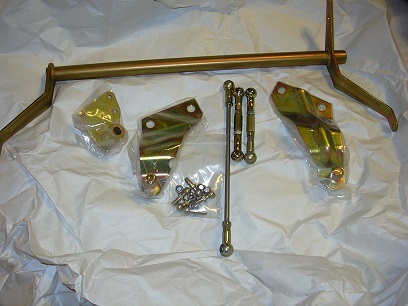 These kits contain: Crossbar, Linkage Pack - Bell Crank, Press Rod, Threaded Rod, Ball Cap, Bracket, Large Ball Pin and Small Ball Pin & Nut. We willl need to know if you have the original/Porsche style Manifolds or the PMO Manifold. Let me know if you need help determining how to tell them apart.